Claude McKay was one of the most distinguished poets of his time. He was a seminal figure in the Harlem Renaissance and wrote three novels: Home to Harlem (1928), a best-seller which won the Harmon Gold Award for Literature, Banjo (1929), and Banana Bottom (1933). 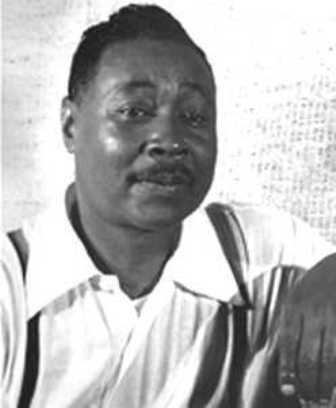 Claude McKay was born in Jamaica on 15th September, 1890. Born Festus Claudius McKay in Sunny Ville, Clarendon Parish, Jamaica, he is the son of Thomas Francis McKay and Hannah Ann Elizabeth Edwards, farmers. The youngest of eleven children, McKay was sent at an early age to live with his oldest brother, a schoolteacher, so that he could be given the best education available. An avid reader, McKay began to write poetry at the age of ten. In 1906 Claude McKay decided to enter a trade school, but when the school was destroyed by an earthquake he became apprenticed to a carriage and cabinetmaker; a brief period in the constabulary followed. In 1907 McKay came to the attention of Walter Jekyll, an English gentleman residing in Jamaica who became his mentor, encouraging him to write dialect verse. Jekyll later set some of McKay's verse to music. By the time he immigrated to the United States in 1912, McKay had established himself as a poet, publishing two volumes of dialect verse, Songs of Jamaica (1912) and Constab Ballads (1912). McKay was shocked by the intense racism he encountered in when he arrived in Charleston, South Carolina, where many public facilities were segregated. At Tuskegee, he disliked the "semi-military, machinelike existence there" and quickly left to study at Kansas State University. At Kansas State, he read W. E. B. Du Bois' Souls of Black Folk, which had a major impact on him and stirred his political involvement. But despite superior academic performance, in 1914 McKay decided he did not want to be an agronomist and moved to New York, where he married his childhood sweetheart Eulalie Lewars. McKay published two poems in 1917 in Seven Arts under the Alias Eli Edwards while working as a waiter on the railways. In 1919 he met Crystal and Max Eastman, who produced The Liberator (where McKay would serve as Co-Executive Editor until 1922). It was here that he published one of his most famous poems, "If We Must Die", during the "Red Summer", a period of intense racial violence against black people in Anglo-American societies. This was among a page of his poetry which signaled the commencement of his life as a professional writer. In 1922 McKay visited the USSR. Active in the social justice movement, McKay became a Socialist, believing that socialism offered his cause hope. While in Russia McKay attended the fourth congress of the Communist International in Moscow. There, he met many leading Bolsheviks including Leon Trotsky, Nikolai Bukharin and Karl Radek. While in the Soviet Union he compiled his journalistic essays into a book, The Negroes in America, which was not published in the United States until 1979. For a time he was buoyed by the success of his first published novel, Home to Harlem (1928), which was critically acclaimed but engendered controversy for its frank portrayal of the underside of Harlem life. His next novel, Banjo: A Story without a Plot (1929), followed the exploits of an expatriate African-American musician in Marseilles, a locale McKay knew well. This novel and McKay's presence in France influenced Léopold Sédar Senghor, Aimé Césaire, and other pioneers of the Negritude literary movement that took hold in French West Africa and the West Indies. Banjo did not sell well. Neither did Gingertown (1932), a short story collection, or Banana Bottom (1933). Often identified as McKay's finest novel, Banana Bottom tells the story of Bita Plant, who returns to Jamaica after being educated in England and struggles to form an identity that reconciles the aesthetic values imposed upon her with her appreciation for her native roots. Claude McKay traveled extensively abroad; After visits to London, Berlin and Paris, he settled down in France for a decade. He, however, remained in contact with the expatriate community of American writers. McKay returned to the United States in the early 1930s. After returning to America in 1934, McKay was attacked by the Communists for repudiating their dogmas and by liberal whites and blacks for his criticism of integrationist-oriented civil rights groups. McKay advocated full civil liberties and racial solidarity. In 1940 he became a U.S. citizen; in 1942 he was converted to Roman Catholicism and worked with a Catholic youth organization until his death. McKay's viewpoints and poetic achievements in the earlier part of the twentieth century set the tone for the Harlem Renaissance and gained the deep respect of younger black poets of the time, including Langston Hughes. He died in 1948.